600 kids are in need of backpacks and school supplies. For most children, the first day of school is full of excitement. Unfortunately, for many children that excitement is often overshadowed by worry and embarrassment about being unable to purchase school supplies. 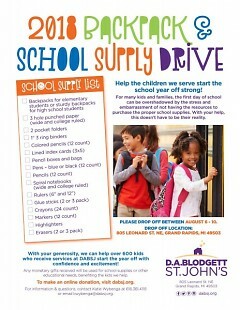 The 12th Annual Backpack and School Supply Drive will help prepare children who receive services at D.A. Blodgett - St. John's for the first day of school. 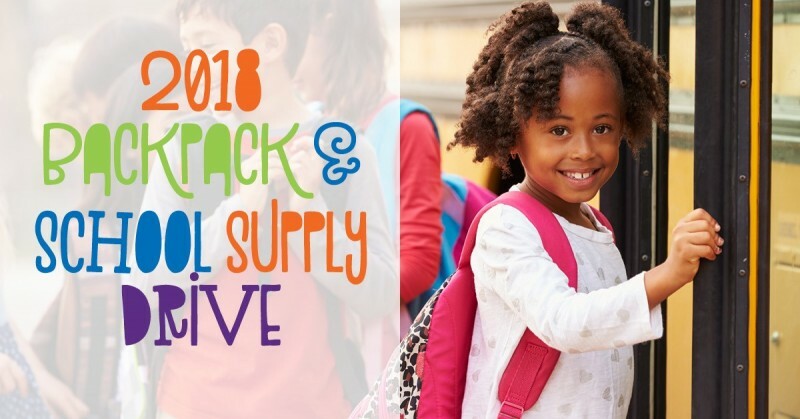 The donations will give children a brand new backpack filled with a variety of new school supplies for the first day of school. 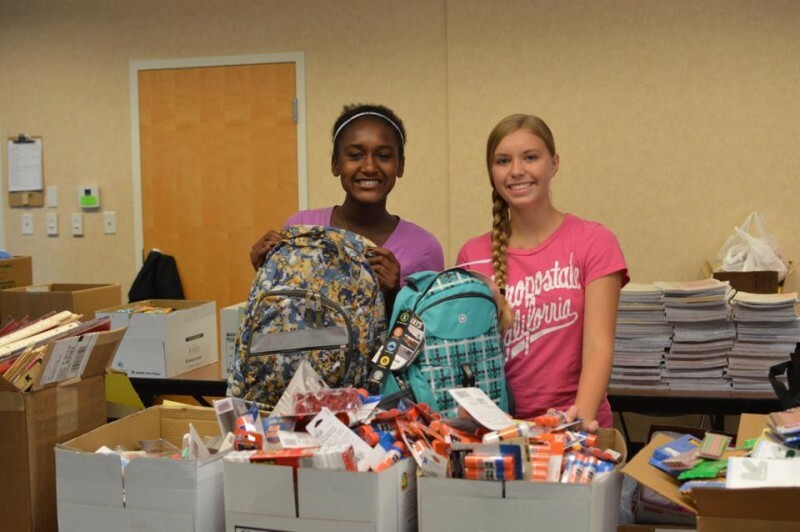 With the help of the 12th Annual Backpack and School Supply Drive, over 600 children in D.A. Blodgett – St. John’s foster care, residential care, adoption, KidsFirst Emergency Shelter, counseling and mentoring programs will start a new school year with pride. Donations can be dropped off at D.A. Blodgett - St. John's, 805 Leonard St. NE, August 6-10 from 8:30 am to 5:00 pm. For questions please contact Katie Wybenga at 616-361-4118 or email [email protected].